I am now going back having jumped from July 1996 to August 1998..the 2 years in between were busy bringing up 2 young children and dealing with daily Hypo glycemic attacks !!! August 1998 , I gave birth to my 3rd Child a Boy born at 36 weeks, again by caesarian. …However I may not have had him had I listened to the Doctors again !! Three months into the pregnancy I went for a scan to be told , due to the blood tests I had, the baby hadn’t developed and I should have a termination..I was told a scan would be pointless and computers don’t get it wrong , so we sat outside the doctors room in the hospital while he saw the next patient and decided where to have the termination. I was so sure the pregnancy felt right that when I went back in the room I insisted on a scan !! Yes you guessed , the Doctor finally agreed to the scan and my feelings were right ..the results on the computer were wrong and our Baby was developing perfectly !!! Moral of the story always believe in your second sense and fight to be heard if you believe something is wrong. I wouldn’t have given birth to my 3rd Child had I not pushed the doctor to give me a scan..after which I decided to change specialist ..hence going back to town. 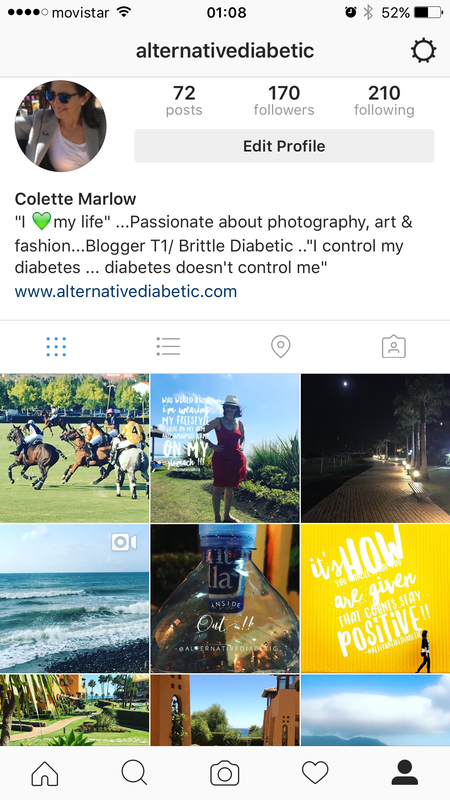 Follow my Instagram posts .. @alternativediabetic.. I was recommended to go to an iridologist ..for those who don’t know…. Iridology is an ancient diagnostic technique through analysis of the iris of the eye.It is painless, non -invasive,and astonishingly accurate method of health analysis. It is believed to reveal the condition of each and every organ in the body….extract from a book by Adam Jackson Iridologist. At the time I was willing to try anything alternative , the hypos(low blood sugar) I had on a regular basis were getting me down. One of the things I learnt was that the iridologist believed I had a thyroid disorder and if I corrected it, my diabetes would settle ..he wasn’t convinced I was Type 1 !! When I started this blog I was going to write about my story from first being diagnosed, however so much has happened in the past year that I was unable to go back to my blog as I was dealing with current diabetic issues!! Therefore I have decided to bring my blog up to date quicker by saying my history in a briefer format. APRIL 1993 had my first baby a Girl by C-section.. A fairly good diabetic pregnancy with no real complications except for delivering the baby at 37 weeks due to Oedema. There is no point discussing the complications re diabetic pregnancies as many guidelines have changed as it was over 20 years ago! Having 2 young children proved very tiring with having to manage my diabetes as well,. so I employed a lovely au pair to help me. I had to change to a new ENDOCRINOLOGIST No 3 more local as hard to travel into town with the young children. I was feeling extremely tired all the time so I decided to take an Alternative health route !! !